The global availability of smartphones and the app stores that house their software makes it as easy for developers to share their work with users down the street as those living on the other side of the world. And while we tend to feel that broad access to software is almost always a good thing, not everyone is going to agree, and sometimes all it takes is one government getting upset about one app to cause some serious fallout. That's pretty much what we're seeing right now, as Russia makes moves against Telegram that are already having some serious consequences. As you may recall, Russia's not too keen on messaging solutions that the government can't readily eavesdrop upon, and last month we learned that Telegram had lost its appeal in a fight to resist handing over the service's encryption keys. CEO Pavel Durov indicated at the time that he wasn't about to compromise his users' privacy, even if that meant facing a block. And that's just what Russia's trying to do. 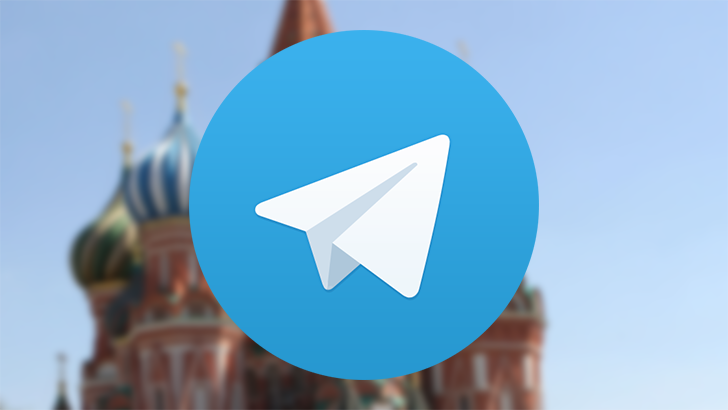 Durov reports that for a bit over a day now, Russia's been trying to trying to block connectivity with Telegram's servers in an effort to prevent use of the app. Through a combination of third-party cloud hosting and users clever enough to employ VPNs or proxies, the government's actions don't appear to be very successful, and Telegram hasn't seen a major drop-off in usage from Russian accounts. But even as Telegram remains accessible to users willing to jump through some small hoops, the government's attempt to halt the app's usage has spilled over to affect quite a number of unaffiliated services, a consequence of blocking IP addresses belonging to Google and Amazon servers — which are used by plenty of companies with zero connection to Telegram. 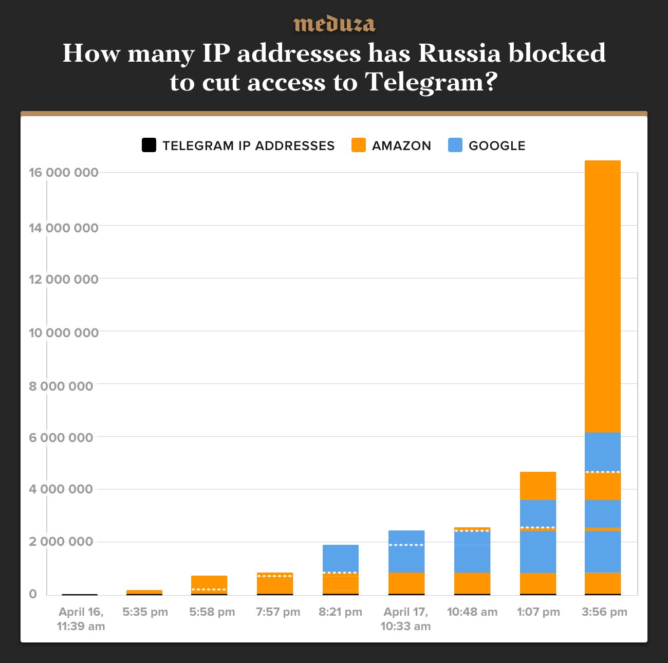 While the total number of blocked IPs has been up and down (though mostly up) as Russia has tweaked its approach, we're looking at something like 16 million blocked addresses at the moment. Affected services include Viber, Office 365, elements of the PlayStation Network, and plenty more. That sloppy targeting is only serving to stir up additional ill will towards the government's censorship actions. Beyond attempting to interfere with the functionality of Telegram, Russia's also trying to prevent its citizens from getting their hands on the app in the first place, requesting that Google and Apple both remove the software from their app stores. We've even found ourselves in the middle of this, as Roskomnadzor (basically the Russian FCC) also reached out to our sister-site APK Mirror with the demand that we cease making the Telegram app available for users in the Russian Federation to download. We have not complied with this request. For the moment, it's still unclear how this all might play out. Russia appears to be standing its ground, but so does Telegram. And for all the IP addresses Russia's blocked so far (and all the collateral damage that's caused), there's nothing stopping Telegram from continuing to deploy new servers as needed. Short of breaking push notifications for Android apps across the board, there seems to be little Russia can do to prevent Telegram from offering its users alternate ways to access its service. This story is clearly far from over, and we'll continue to keep you in the loop as further developments play out.